Ben and I entered a contest to win a second honeymoon. Next year is our 10 year Anniversary. This would be perfect!!! 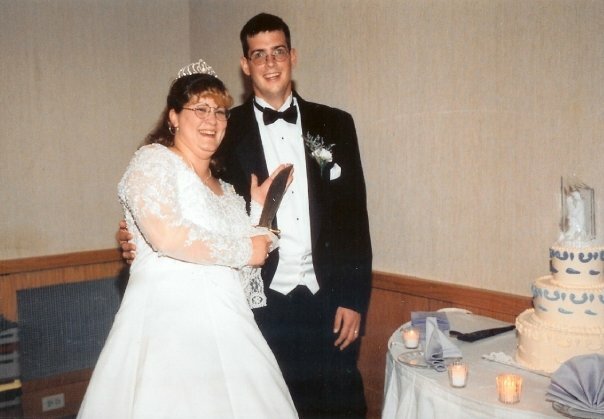 The contest is to get votes for a funny wedding photo. Please take a look at the photo, and if you truly think it's funny, then please vote. If you don't think it's funny, that is fine too. I won't hold it against you!!!! This is the photo, and if you click on it, it will take you to the voting page. All you have to do is click vote!!! Oh and yes that is a machete, and we used it to cut the cake. It is one of those weird family traditions!!!! Thank you in advance!!!! If I can return the favor, please comment below and I will!! thanks for the great contests you have.